A Template Engine replaces variables in the template files with actual values, and transforms the template into the final file. Helpjuice's Template Engine is based on Liquid and nine default files. Thanks Page: The page that comes up after sending the contact form. 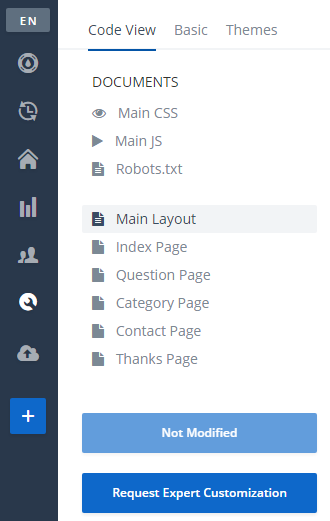 When any page of the Knowledge Base is accessed, the Template Engine will load the Main Layout file and render its values. In the end, the complete page is a result of the Main Layout + Layout Content for that specific page. If you want to display Contextual Sections outside of the Layout Content scope, check the Contextual Sections Guide.